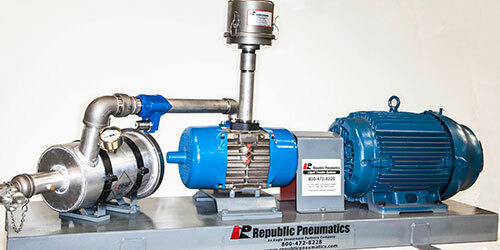 Republic Pneumatics build electric motor, hydraulic motor, or engine driven baseplate mounted packages for all types of blower, pump and compressor applications. Our experienced fabricators create compact, rugged, innovative packages to suit your specific application. Unlike other equipment distributors that just sell individual components, Republic offers complete turn-key systems. We custom fabricate brackets to fit your truck. 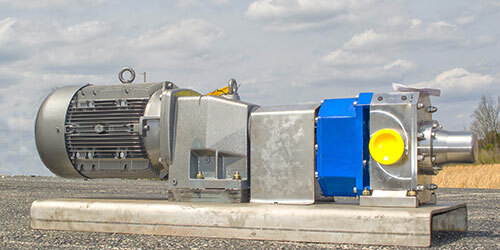 Our baseplate packages are to customer specification. We offer the accessories to complete your system, such as hydraulic fittings, valves, gauges, hoses, lubricants, camlocks, fasteners, filters, pipework etc. We offer pre-assembly and can ship your systems in individual 'modules' to assist OEM's in installing your unloading equipment while your tractor/trailer is being built.